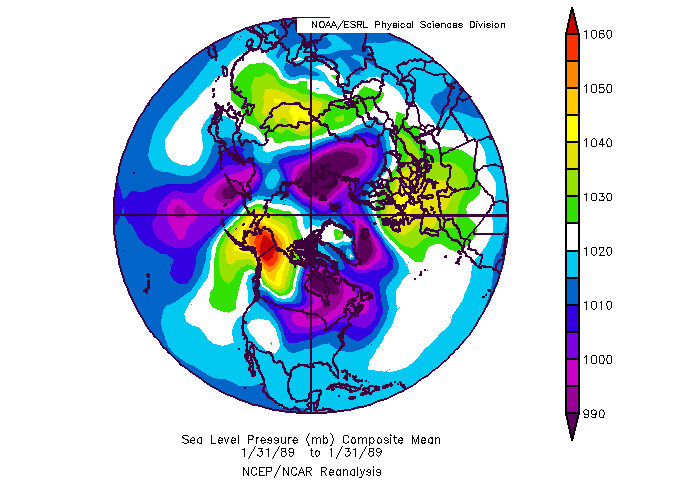 DISCUSSION: Late January and early February of this year brought an outbreak of frigid arctic air to a large portion of the U.S. with temperatures in the north-central portion of the U.S. the coldest that they have been in over 20 years. Specifically, the coldest temperature measured this year occurred at Cotton, Minnesota of -56F on 27 and again on the 31 January. Including these temperatures this year, temperatures between -55 and -59F have been officially recorded 34 times in our ~150-year observation record over the continental U. S. (there are additional unofficial and/or unverified temperatures that have been measured below -55F). Given that we are past the climatologically coldest part of the year, this current outbreak of unseasonably cold air across the U. S. probably won't set any new record cold temperatures for the year. For someone who lives in Louisiana, -56F is unimaginably cold. 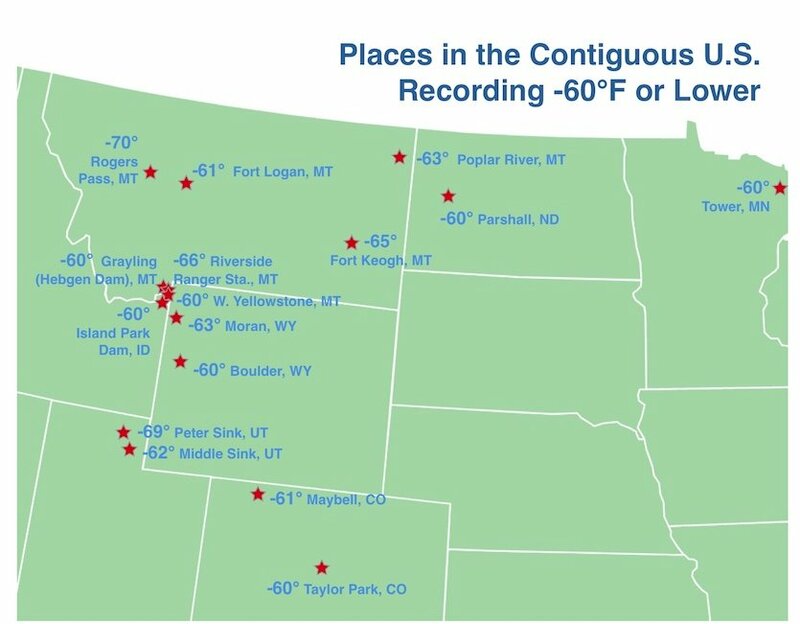 But, even colder temperatures have been recorded in the lower 48 states of the U. S. The map above shows the locations of the 15 official temperatures that have been measured at or below -60F. For the dates when these all occurred, please click here. Of particular note is the coldest temperature ever recorded in the continental U. S. of -69.7F on 20 January 1954 at Rogers Pass, Montana. This was so cold that the indicator of minimum temperature along with the fluid in the thermometer actually retreated into the bulb of the thermometer. The station that recorded this value existed in that location for only a short time from 1 May 1953 to 28 June 1956. It was installed next to a new mine which turned out to not be very productive. So, the mine and observation station were shuttered after only a short time. In order to achieve such an extreme temperature, conditions have to be just right. Otherwise, such a temperature would occur more often. Indeed, the weather conditions at Rogers Pass the night/morning of 20 January 1954 were ideal for generating extreme cold. In particular, there was fresh snow on the ground, a dry, cold air mass in place, no clouds, and no wind, all conditions very conducive to radiational cooling. 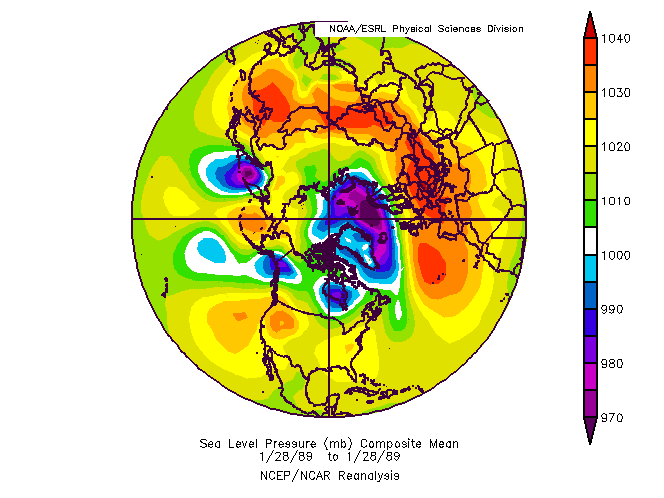 In addition, the station was located in a depression allowing the coldest air to sink toward the station. Despite these conditions, and as is typically the case for record observations, this particular observation underwent a robust verification process by the Weather Bureau (precursor to today's National Weather Service). For example, the instrument was tested to make sure it was working correctly and the measurement was checked for consistency with other nearby stations. The above is a small glimpse into the coldest temperatures recorded in the continental U. S. and a little bit of the story surrounding the record coldest temperature. I suppose one take away from this is that no matter how cold it gets wherever you are in the lower 48 states of the U. S., it could always be worse (i.e., colder). Discussion: 2018 has been another active weather year featuring more extreme droughts, wildfires, hurricanes, extreme flooding events, and tornadoes. As 2018 comes to a close, the topic of discussion is how many cities broke their record for total precipitation this calendar year. Many are wondering if the wet weather will continue and for just how long. Hurricane Florence dumped 24.06” of rain in Wilmington, North Carolina which contributed to its three-digit total precipitation record of 101.45” for 2018. More cities that have already set records include Wilmington, NC at 101.45”, Asheville, NC at 75.00”, Washington, D.C. at 64.78”, Baltimore, MD at 70.05”, Green Bay, WI at 38.68”, and Mason City, IA at 49.98”. Several cities still have a shot of setting a new record before the ringing in the New Year. Pittsburgh, PA currently sits at 56.98”and its record is 57.38”, Raleigh, NC sits at 58.54” and its record is 59.10”, and Jackson, TN sits at 73.49”and its record is 74.76”. All of these stats were collected from xmACIS2on December 28, 2018. According to the World Meteorological Organization (WMO), we are going into 2019 with a 75-80% chance for a weak El Niñoby February 2019. 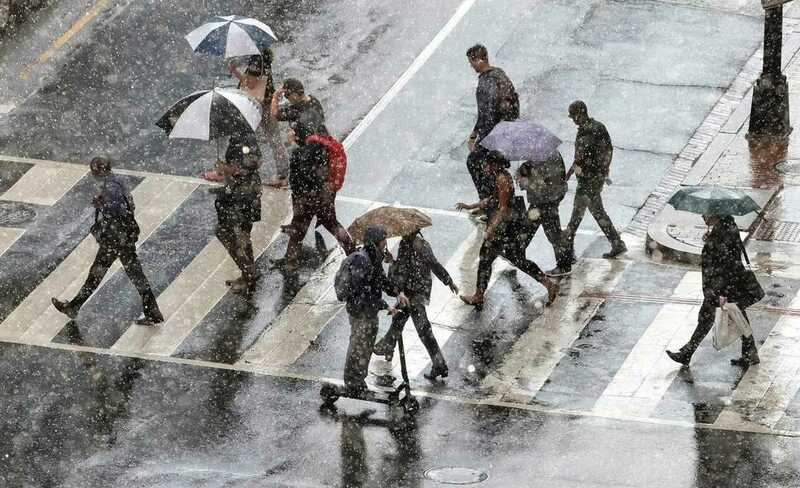 The National Oceanic & Atmospheric Administration (NOAA) is also predicting a weak El Niño in its 2018-19 Winter Outlook. An El Niño is the warm phase of the El Niño Southern Oscillation (ENSO). If ENSO verifies, three-quarters of the U.S. will most likely experience warmer than average, as opposed to colder than average, winter temperatures. Additionally, wet weather will continue to dominate the southern states. So, keep your umbrella handy. To learn about more historical weather events, click here. DISCUSSION: December through February is considered as the official meteorological winter season, so it is of no surprise that snow is the predominant precipitation type with winter weather systems. On this date back in 2010, most of the mid-Atlantic and New England states were dealing with the brunt of a rather powerful winter storm. 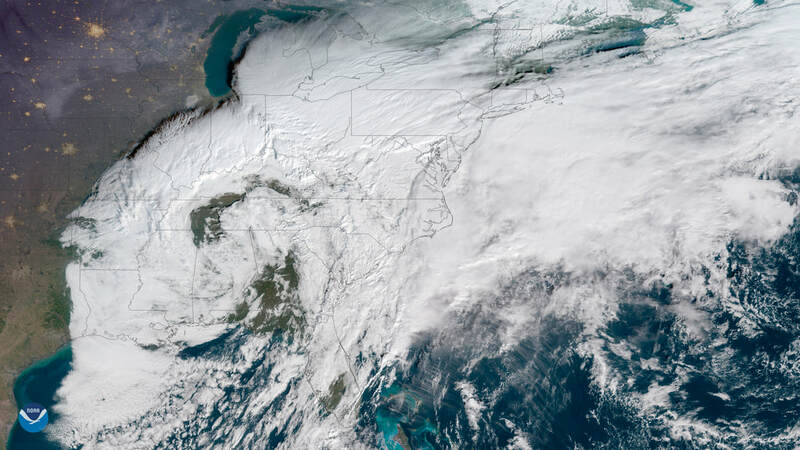 Heavy blowing and drifting snow affected much of New Jersey, New York, and points north of that as the system rapidly made its way off shore and away from the U.S. mainland. The synoptic setup for this storm system was centered on the rapid deepening of a low pressure system that originally formed on the lee side of the Rocky Mountain range which quickly tracked eastward across the central Plains and southeast U.S. By late evening on the 26th, an upper-level jet streak maximum of near 150 kts (175 mph) was observed over northwestern Florida while significant pressure height falls were observed over the northeast. 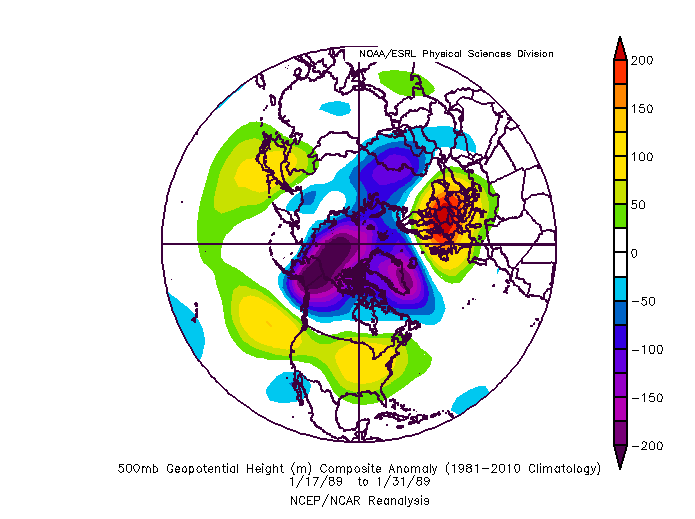 Moisture from the warm waters of the Gulf of Mexico was dragged northward along the poleward flank of the trough and observed radiosonde (weather balloon) data showed that the atmosphere through 600 hPa was at near-full saturation. This high amount of low-to-mid-level moisture, coupled with the already present favorable frontogenesis dynamics, set the stage for a significant snowfall event while the system tracked north and east through the mid-Atlantic and New England states. The result was significant snowfall totals ranging from 20-30” with higher totals primarily along the New York City-New Jersey-Hudson Valley corridor. Heavy convective snow bands trained over the same areas for many consecutive hours, compounding on the snow already on the ground. 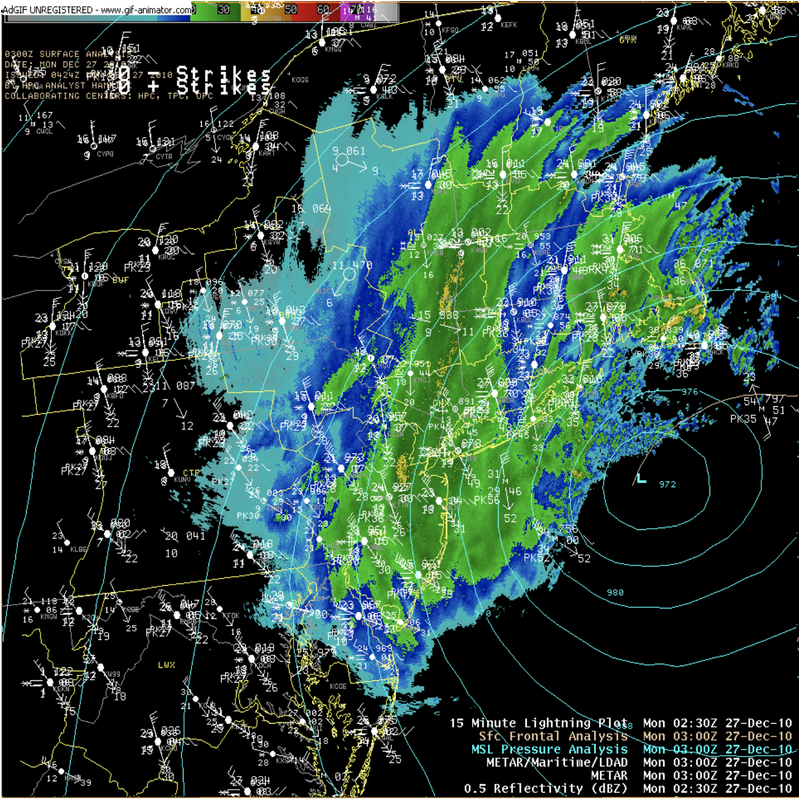 In addition, a very tight pressure gradient was focused over much of the mid-Atlantic as the low pressure system advanced and upper-level winds sustained winds of 25 to 40 mph with higher gusts at the surface. which led to hazardous conditions for travel and infrastructure. Storms of this nature can occur during this time of year so it is always important to be vigilant to developing winter weather systems and alert to the latest forecasts from local weather forecast offices and the Weather Prediction Center. To learn more about other past historic weather events from around the world, click here! DISCUSSION: Over the last two centuries, there is little to no doubt that atmospheric science observational and forecasting capabilities have come quite a long way. One of the premiere technologies which is associated with how far atmospheric science over the past 200 + years is the invention of the world-famous Doppler Radar technology which is based upon the fundamental principle known as the Doppler Effect. The so-called “Doppler Effect” which is what the modern Doppler Radar observational platform is based upon was invented by Christian Doppler. This was a historic discovery during the earlier part of the 19th century since this was a discovery which would go on to forever change the course of history. Upon discovering the Doppler Effect concept which is described in the excerpt attached above, this transformed the way in which mankind was able to interpret how sound and velocity works in the context of time and space in order to anticipate the movement of hydrometeors. 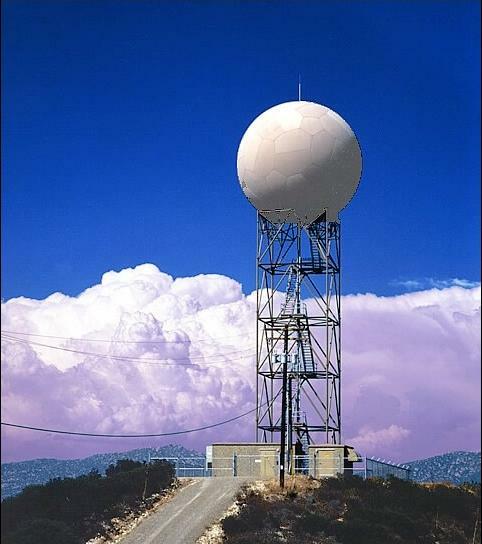 Therefore, this is the concept which instigated the development of the modernized Doppler Radar which uses the Doppler Effect to produce velocity data to project and predict the speed and directional movement of different types of objects from a given distance. To learn more about other past historic weather history topics from around the world, be sure to click here! On this day in 2013, an unordinary late season tornado outbreak occurred across Illinois, Indiana, Michigan, Kentucky and Ohio. This particular tornado outbreak was the deadliest and costliest in Illinois to occur in the month of November and the fourth largest in recorded Illinois state history. This event resulted in 73 tornadoes, with reports of over 100 injuries and 11 fatalities. Forecasts for the development of this event had been well anticipated, with initial forecasts led by the NOAA Storm Prediction Center five days in advanced. These storms were associated with a strong trough in the upper levels of the atmosphere, as well as having forecasts of a potent mid-level jet moving across the Mississippi River valley. The pressure gradient force, or in other words the force which results when there is a difference in pressure across a surface, tends to bring stronger winds in November compared to the summer or spring months. This leads to greater wind shear. The morning of the outbreak showed there was a particularly strong vertical wind shear, providing the perfect setup for long-tracked tornadoes to occur. Two of the tornadoes, both in Illinois, were rated EF4 on the Enhanced Fujita Scale. These were the strongest documented tornadoes during the outbreak resulting in five deaths. In addition to tornadoes the system also produced baseball sized hail peaking at 4.00 in (10.2 cm) in diameter in Bloomington, Illinois, as well as damaging winds estimated as strong as 100 mph (160 km/h) in three separate locations. There were also seven tornadoes rated EF3, 23 tornadoes rated EF2, 28 tornadoes rated EF1 and 13 tornadoes rated EF0. 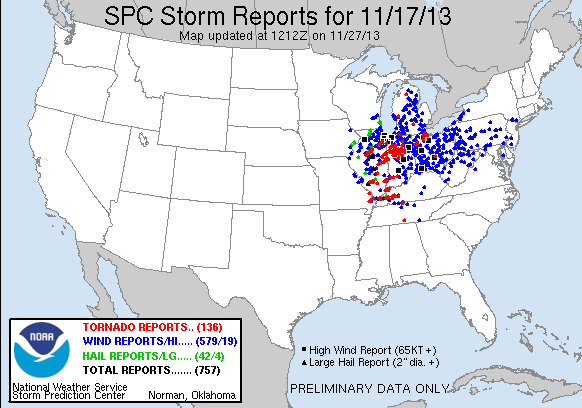 Tornadic events, especially of this magnitude, are an uncommon occurrence in the month of November. Normally in late autumn and into winter there is not sufficient warmth and moisture for thunderstorm development. However, in this case, a low pressure system across the plains had pushed tropical warmth and moisture northward from the Gulf of Mexico for nearly two days. This moisture was akin to that typically observed during summertime, given dew point temperatures in the mid to upper 60’s. Combine this with air temperatures of around 70° F (21° C) and these combined factors aided in the generation of instability to get thunderstorms to form. The warmth combined with the high wind shear was the perfect setup for these supercell storms to develop. This is just a reminder that people should stay vigilant throughout the entire year because tornadoes can happen at pretty much any time especially throughout the midwestern portion of the United States. DISCUSSION: It goes without saying that 5 years ago today there was history made over in parts of the eastern and central and eastern Philippines. To be more precise, 5 years ago today, the eastern and central Philippines bore witness to the full force of Super Typhoon Haiyan. 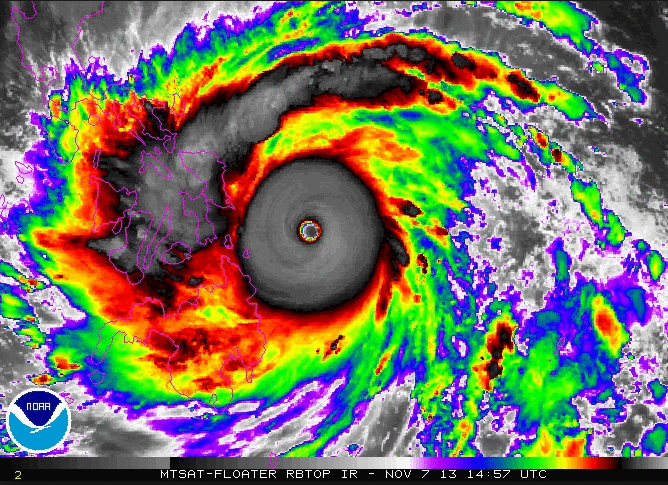 Super Typhoon Haiyan was an intense tropical cyclone which formed in early November of 2013. This powerful tropical cyclone was particularly intimidating since this storm had nearly a perfectly symmetric structure associated with it right up to the point of landfall over in the eastern Philippines. To be more precise, this tropical cyclone had developed sufficiently clear characteristics to allow it to be referred to as an annular tropical cyclone. An annular tropical cyclone is a tropical cyclone which has a near-perfect to perfect energy distribution across the entire span of the system from north to south and from east to west. Moreover, Super Typhoon Haiyan was also an incredibly large tropical cyclone which also increased the overall flooding as well as flash flooding threat (i.e., from both heavy rainfall and record-breaking storm surge levels). Having said that, the storm was ultimately quite destructive and unfortunately quite deadly as well in the wake of well over 6,000 people losing their lives during the impacts and aftermath of this powerful tropical cyclone. Thus, it in looking back to Super Typhoon Haiyan, there is absolutely no question whatsoever that this was a storm which will go down in history as one of the worst tropical cyclones of all-time. Attached above is also a first-person perspective on this event from Award-Winning Storyteller and Cameraman Jim Edds from Pensacola, Florida. To learn more about this historic tropical cyclone event, feel free to learn more about it from the NASA Earth Observatory link, which can be found right here! The deadliest hurricane in U.S. history struck the coast of the Gulf of Mexico devastating Galveston, Texas, an island located off the coast of Texas. On September 8, 1900, a category four hurricane reached land from the Gulf of Mexico. The people in the affected area were not aware of the hurricane in time to evacuate. This is due to the lack of weather knowledge during the early 1900’s according to the History Channel. When the category four hurricane hit Galveston, it had winds greater than 135 mph. At this time, the highest point in Galveston was only 8.7 feet above sea level. Storm surges rose up to 15 feet, flooding the entire island. It destroyed more than 3,600 buildings. The National Oceanic and Atmospheric Administration (NOAA) estimated the death toll to be between 6,000-12,000 people (about 20% of Galveston’s population). Afterwards, Galveston was rebuilt but it did not continue to be a major port of weather call. This is because Houston became the new port of weather call after many people turned to Houston to rebuild their lives. Houston began to populate and the citizens of Houston provided assistance to Galveston. These rescuers found many survivors trapped under debris. About 30,000 people were left homeless. Not only was the public not aware of this hurricane, but it was a very populated place. From 1875 until the hurricane hit, Galveston was in what’s known as the Golden Era of Galveston. At this time the city’s economy was booming and there was a high population of around 37,000 people. A hurricane can be more devastating to a populated area because the higher the population, the more people affected. In 1900, the Weather Bureau (now known as the National Weather Service) was only 10 years old and did not have a well-organized communication system. 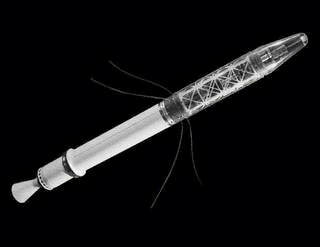 They were still developing the company and communication was extremely limited. After the hurricane hit and caused its devastation, the Weather Bureau began to improve their communication system nationally and internationally so that this never happens again. This is a very important time in history because it was the beginning of hurricane science advancement. It is necessary for meteorology to be advanced so the public can be aware of the natural disasters and everyday weather that can affect their lives. DISCUSSION: Though it has already been a couple of weeks since Hurricane Florence barreled into the North Carolina and South Carolina coastal regions, there is still a ton of information which needs to be and is yet to be processed. It goes without saying that despite an incredibly accurate 5-day future track forecast for Hurricane Florence, major flooding concerns continued to loom over the Carolinas in the days leading up to the final approach and ultimate landfall of Hurricane Florence. The combination of a prolific storm surge as well as heavy rainfall led to widespread regional flooding and flash flooding over the course of several days. 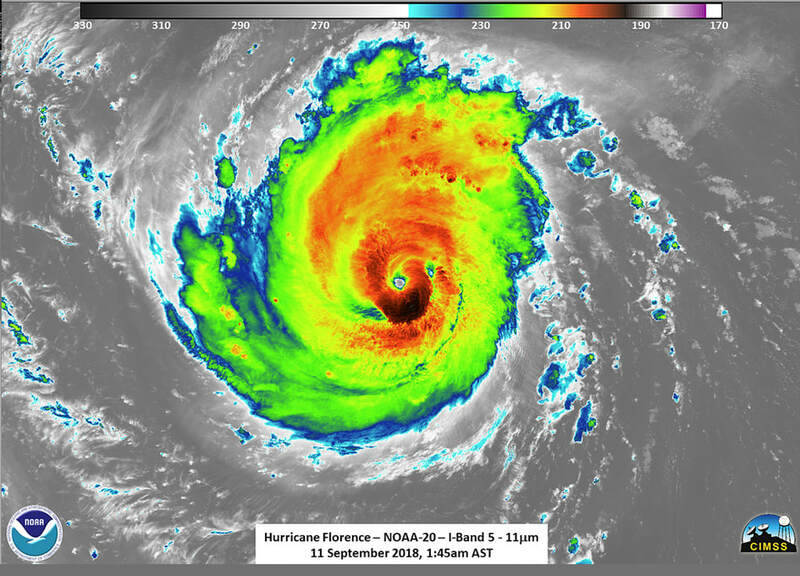 In diving a little deeper into the story behind the impacts of hurricane Florence, it is important to note just a few more reasons for why Hurricane Florence will undoubtedly go down in history as of one of more historic U.S. natural disasters in recorded history. When it came to trying to anticipate the most likely flooding potential scenario associated with Hurricane Florence, the majority of forecasters had a very good inclination that there would most certainly be many areas across North Carolina, South Carolina, and beyond which would end up receiving prolonged periods of heavy rainfall. However, what was not foreseen in the majority of rainfall forecasts was the scenario wherein adjacent U.S. states (i.e., North Carolina and South Carolina) would each break respective tropical cyclone event rainfall records. In fact, this is precisely what would end up happening across those respective states. This is reflected in greater detail by the context of the graphic suite attached above (courtesy of Meteorologist Michael Lowry). With or without this tropical cyclone event rainfall record being broken, the flooding in and of itself was horrifying and the lasting impacts as well as aftermath of this tremendous flooding event has left many people in a state of disrepair and shock. The lasting message which can be taken from the impacts of Hurricane Florence is that even though Hurricane Florence only made landfall as a Category 1 hurricane (as previously stated many times recently across social media but absolutely deserves to be re-stated), this never meant that there was any less of a storm surge or flooding threat from Florence as everyone in the path of this storm went on to find out first-hand. Thus, as said many times before but bears repeating, it only takes one storm to make a life-changing difference for someone and everyone should always respect the natural power of an approaching tropical cyclone.